Lee: Ha! You know what's funny? Lee: But they aren't chips! They're cookies! Me: Yeeeesss... but they have, chocolate chips in them..
Me: I'm still laughing about you and chips. You do know I'm writing about this...? Lee: No... I mean... some people call fries, chips. Or cookies, biscuits. 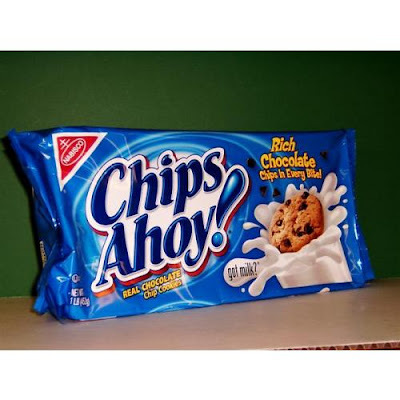 I just thought maybe cookies used to be called chips.